In the past cardiotoxicity in patients receiving cancer treatment was mostly associated with the use of anthracyclines. However, several newly-developed anticancer drugs, in particular trastuzumab, have also been reported to cause this complication. 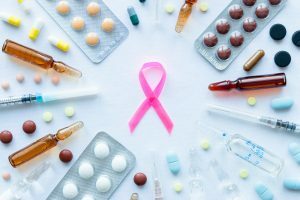 Notably, both anthracyclines and trastuzumab are presently among the most frequently used drugs for the treatment of breast cancer. Anthracyclines are highly effective for the treatment of solid tumours and haematological malignancies, therefore we should not avoid these drugs use due to concerns over cardiac side effects. On the other hand, anthracyclines may cause irreversible cardiac damage, which in turn impacts on prognosis. For example, doxorubicin is associated with a five per cent incidence of congestive heart failure when a cumulative lifetime dose of 400 mg/m2 is reached, and higher doses lead to an exponential increase in risk, up to 48% at 700 mg/m2. However, there is considerable variation among patients in their susceptibility to anthracyclines. While many tolerate standard-dose anthracyclines without long-term complications, treatment-related cardiotoxicity can occur after the first dose in other patients. The other instance of cardiotoxicity in breast-cancer treatment is with trastuzumab. This drug is an effective treatment for patients with HER2-overexpressing breast cancer. It is part of the standard therapy for both early-stage and advanced- stage breast cancer. Its use, however, has resulted in an unexpectedly high rate of cardiotoxicity. The mechanism of trastuzumab-induced cardiotoxicity is not completely understood, but it is thought to be a ‘type II adverse drug reaction’, in that it mostly causes reversible dysfunction and does not involve cell loss. Unlike anthracyclines, the cardiotoxic effects of trastuzumab are not dose-dependent. The clinical outcomes of patients with trastuzumab-induced cardiotoxicity seem to be more favourable than those of patients with anthracycline-induced cardiotoxicity, as LVD frequently improves after drug withdrawal and initiation of therapy for heart failure. Clinicians should therefore be vigilant in monitoring and treating cardiac adverse effects, as breast cancer patients are exposed to a variety of agents that put them at an increased risk of subsequent cardiac morbidity and/or mortality. Fortunately, in most patients with breast cancer the absolute risk of treatment-associated cardiac disease is quite low, and would not justify withholding vital treatment for cancer. Breast cancer therapy-associated cardiovascular disease. Zagar TM, Cardinale DM, Marks LB. Nat Rev Clin Oncol 2016 Mar;13(3): 172-84. 2009 focused update: ACCF/AHA Guidelines for the Diagnosis and Management of Heart Failure in Adults: a report of the American College of Cardiology Foundation/American Heart Association Task Force on Practice Guidelines: developed in collaboration with the International Society for Heart and Lung Transplantation. Jessup M, Abraham WT, Casey DE, Feldman AM, Francis GS, Ganiats TG, Konstam MA, Mancini DM, Rahko PS, Silver MA, Stevenson LW, Yancy CW. Circulation 2009 Apr 14;119(14): 1977-2016. 2016 ESC Position Paper on cancer treatments and cardiovascular toxicity developed under the auspices of the ESC Committee for Practice Guidelines: The Task Force for cancer treatments and cardiovascular toxicity of the European Society of Cardiology (ESC). Zamorano JL, Lancellotti P, Rodriguez Muñoz D, et al. ; Authors/Task Force Members; ESC Committee for Practice Guidelines (CPG). Eur Heart J 2016 Sep 21;37(36): 2768-2801. Cancer therapy-induced cardiotoxicity: basic mechanisms and potential cardioprotective therapies. Hahn VS, Lenihan DJ, Ky B. J Am Heart Assoc 2014 Apr 22;3(2): e000665. Early breast cancer therapy and cardiovascular injury. Jones LW, Haykowsky MJ, Swartz JJ, Douglas PS, Mackey JR. J Am Coll Cardiol 2007 Oct 9;50(15):1435-41. Due to improved screening modalities and the development of novel cancer treatments, including targeted and immunologic therapies, 5-year breast cancer (BC) survival rates are currently over 90%. Despite these impressive advancements in survival, cardiovascular toxicity is increasingly observed in clinical practice as a serious complication of treatment. Women with BC comprise a very heterogeneous group of patients regarding tumor characteristics, extent of disease and type of treatment. The majority of BC women arepostmenopausal, a condition associated with increased cardiovascular (CV) risk (1). It has been established that the 10-year risk for BC recurrence is much lower than the 10-year risk for CV events (2). A previous history of CV disease and/or multiple adverse lifestyle and CV disease risk factors importantly affect individual susceptibility for cardiotoxicity. Subclinical left ventricular deterioration occurs in 10–50% of patients receiving chemotherapy alone and this may remain undiagnosed for years, with symptoms of tiredness and dyspnoea -often reported by patients- being attributed to the BC and ‘ageing’. Dr Avanzas clearly points out that clinicians should be more vigilant and carefully monitor these patients during and after BC treatment. In addition, before treatment for BC is started, physicians need to learn how to identify patients who may be at a high risk of developing cardiotoxicity. Thus they will be more closely monitored during treatment using cardiac imaging techniques such as strain echo and cardiac MRI to identify early signs of cardiotoxicity and to provide relevant cardiovascular therapy if needed (3). Maas AHEM & co-editor Bairey Merz CN . Manual Gynecardiology: female specific Cardiology in clinical practice. (ed. Springer, July 2017). ISBN 978-3-319-54959-0. Bardia, A., et al., Comparison of breast cancer recurrence risk and cardiovascular disease incidence risk among postmenopausal women with breast cancer. Breast Cancer Res Treat, 2012. 131(3): p. 907-14. Chang HM, et al. Cardiovascular complications of cancer therapy. Best practices in diagnosis, prevention, and management: Part 1. J Am Coll Cardiol 2017;70:2536–51.